Complete your Joker costume with this Inflatable Gun! 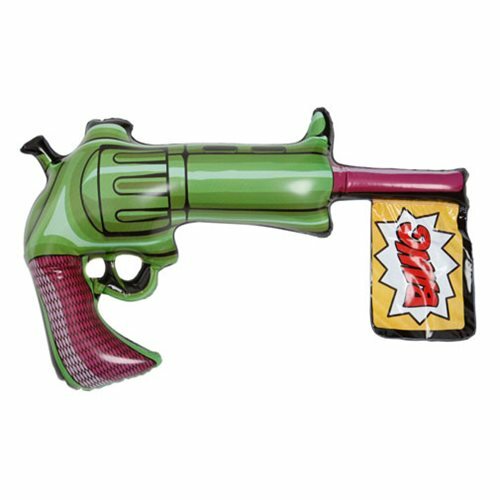 This oversized gun features a Joker theme and a plug to inflate and deflate the gun whenever you want. This Batman Joker Inflatable Gun measures about 4-inches long x 4-inches tall. Ages 14 and up.